Stove top safe butter melter. 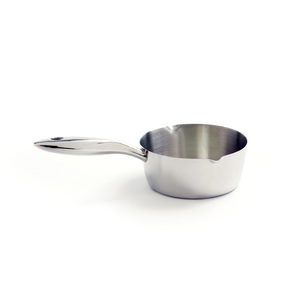 Measures, 4.75"12cm diameter and handle is 4.25"/11cm. Capacity, 1.5 cups/12 ounces. Stainless steel construction. Dual spout design for right and left hand use. Hand washing recommended.